KEIZER — There were only 16 minutes of playing time left in the game. 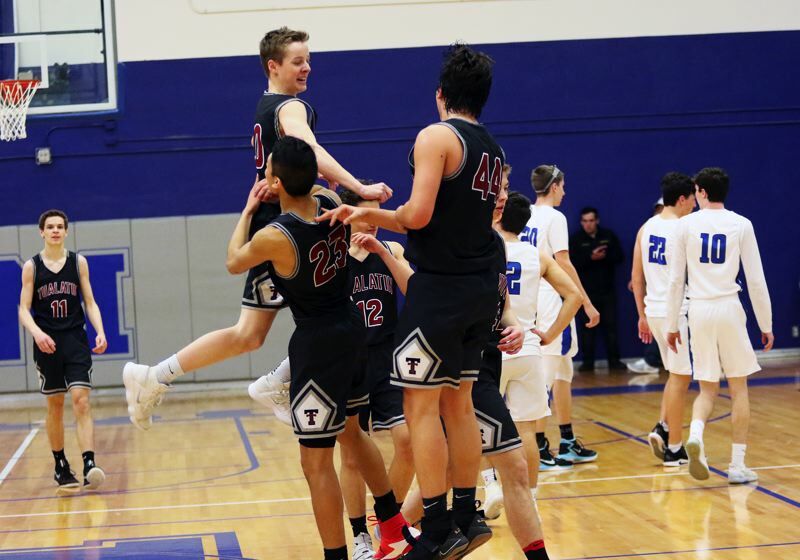 For the Tualatin High School boys basketball team, that meant that there were possibly only 16 minutes left in its season. The Timberwolves were facing a three-point point halftime deficit against a team that they had already lost to earlier in the season, at the same place where they suffered playoff heartbreak just two years ago. But, this time would be different. 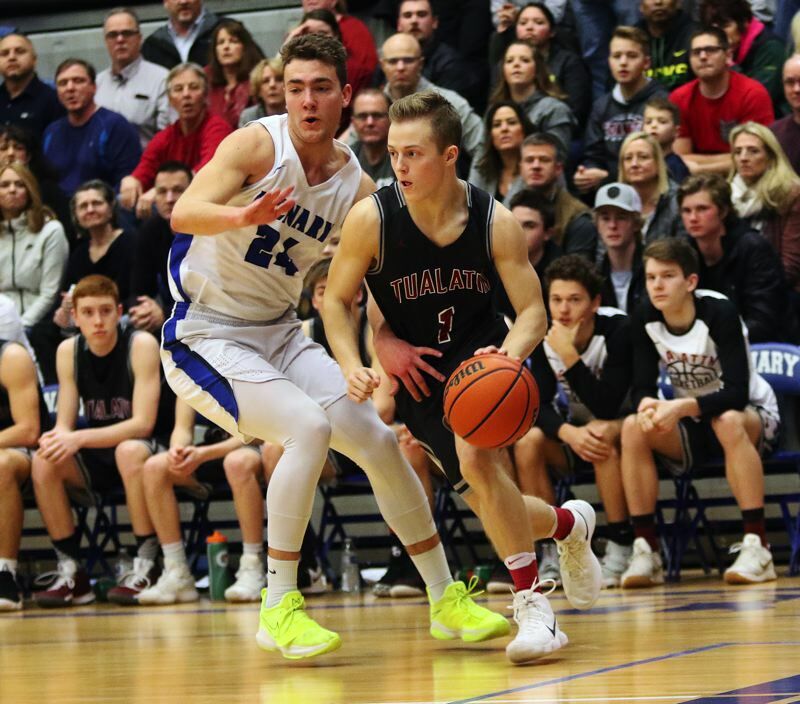 Instead of seeing its season come to a close short of the state tournament, Tualatin responded with an amazing second-half performance, outscoring fifth-seeded McNary 38-15 over the last two quarters to get a 61-41 win over the Celtics in a Class 6A state playoff second round game played Saturday at McNary High School. With the come-from-behind blowout victory, the Wolves earned their first Class 6A state tournament bid since 2008. 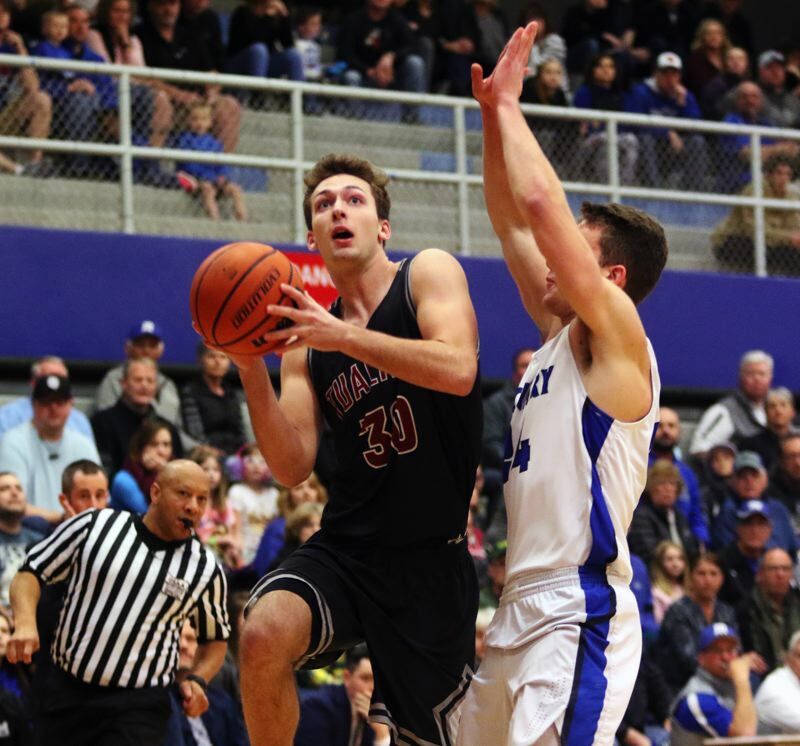 "This is awesome," said Tualatin junior post Bridger Steppe, who came off the bench to lead all scorers in Saturday's contest with 20 points. "I don't think we've been to the (state tournament) for about 10 years, or so, so this is just a big win." "It means a lot," Tualatin sophomore wing John Miller said. "It's a huge confidence-booster. We haven't been to the state tournament in a long time. It feels really good." "It means so much to me and my teammates," Timberwolf senior wing Alexis Angeles said. "At the beginning of the year, we really wanted to make it to the state tournament. That was our goal, and to beat McNary at their place felt great, especially for us seniors. We experienced a loss here in the playoffs as sophomores, so this was great revenge. I'm so happy for our team." With the loss, McNary, the Greater Valley Conference champion and the No. 5 team in the final OSAA power rankings, ended its season with a final record of 20-6. Tualatin, the No. 4 team out of the Three Rivers League, and the No. 12 team in the OSAA power rankings, improved to 18-8 with the victory. The Wolves also advance to the Class 6A state tournament. They'll face Barlow in a tournament quarterfinal game on Thursday, starting at 3:15 p.m. at the University of Portland's Chiles Center. "We're really looking forward to it," Miller said. 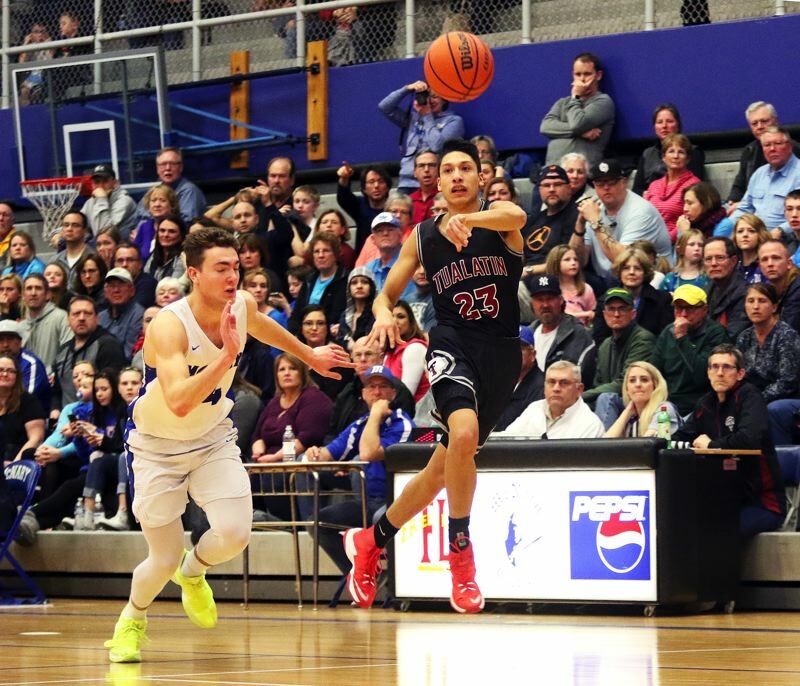 "We're not going to take (Barlow) lightly, just because we beat them earlier (an 84-70 Timberwolf win in a game played Dec. 8 at Barlow High School). We're going to put the pedal to the medal. We're going to try and make it all the way." "Once you're in the tournament, anything can happen," Angeles said. "We don't care who it is, we're going to go in there and give it everything we've got. We've got nothing to lose." McNary had to feel at least somewhat confident going into Saturday's state playoff game. 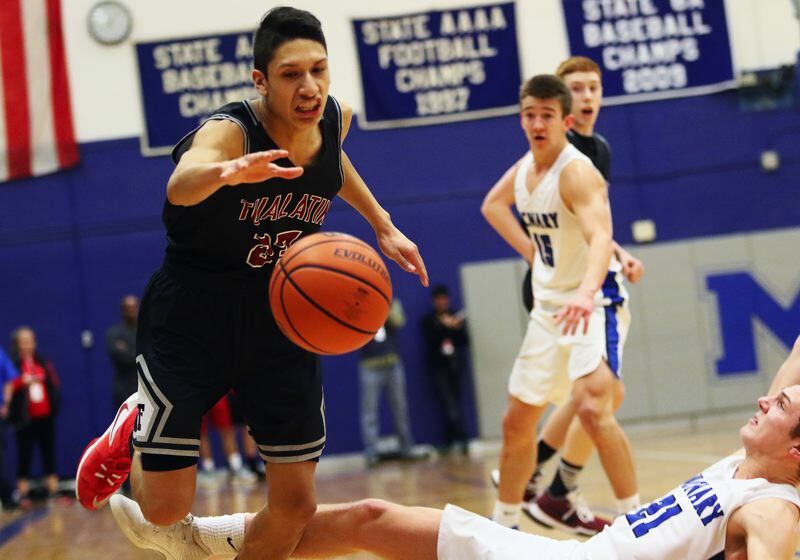 After all, the Celtics scored a 44-43 win over Tualatin in a state playoff game on their home court back in 2016. And, just earlier this season, McNary, once again at home, pulled away to get a 72-58 victory over the Wolves. But Tualatin seemed to use that for motivation. "This team really beat down on us early in the year, so we had two options," Steppe said. "We could think about how they beat us, or we could just come out here and grind. We just knew this was do-or-die. We had to give it our own, or we'd have to go home. We just gave it everything we had." 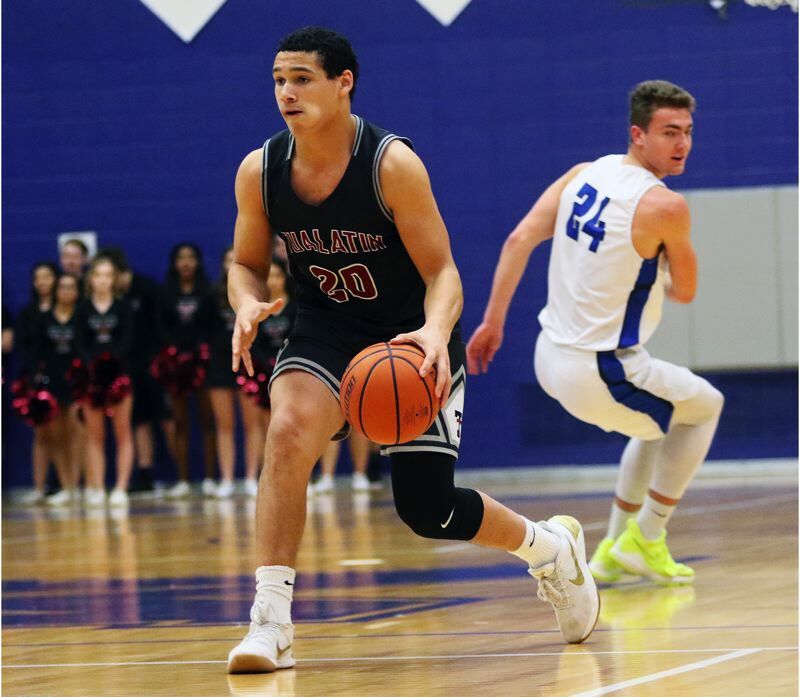 Tualatin, in Saturday's rematch, got off to a strong start. With Miller scoring eight points in the first 3 minutes and 25 seconds of the contest, the Wolves jumped out to a 10-3 lead. "I've been nervous for this game the past two days, ever since we found out we had them," Miller said. "We needed to go in and beat them. Coming back into this game, knowing I have to help set the tone and be the most aggressive player on the court. That was really in my head the entire time." McNary would trim the Tualatin lead to 16-15 at the end of the opening period. 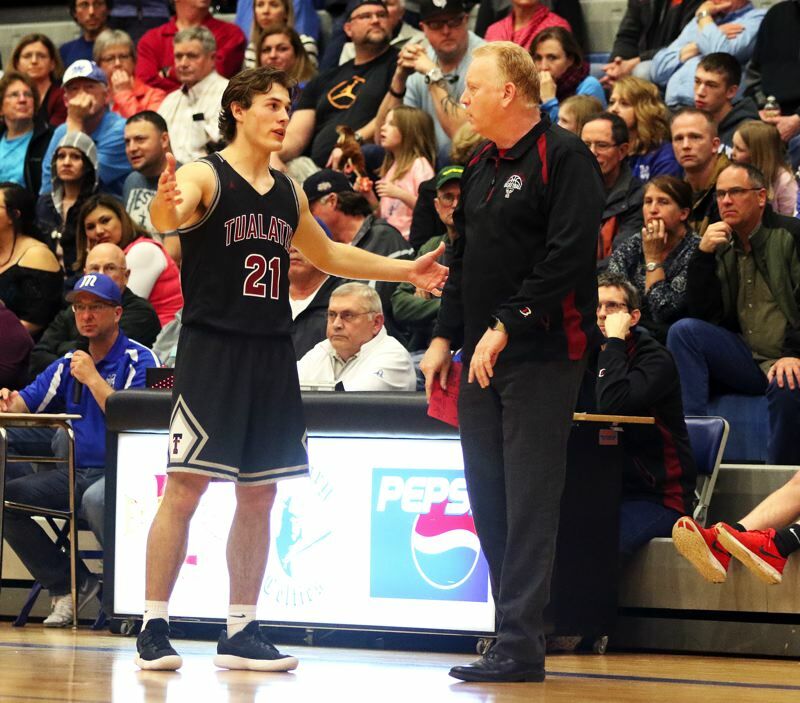 The Wolves then struggled in the second quarter, scoring just seven points in the period — three of those coming on a 3-pointer by senior guard Lucas Noland. McNary, taking advantage, rallied to take a 26-23 lead at halftime. 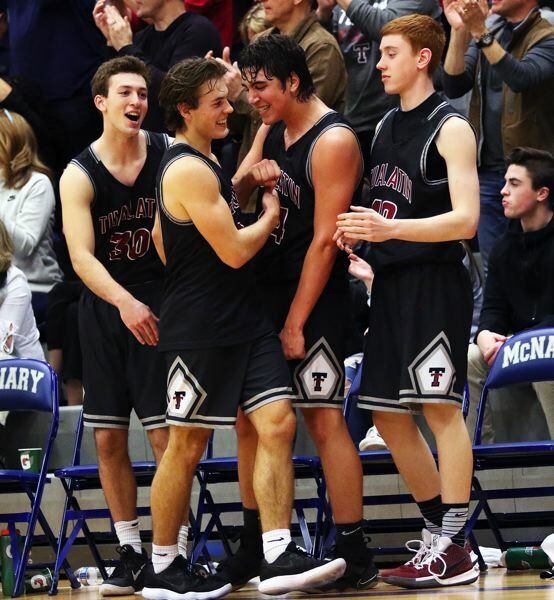 But that seemed to fire up the Tualatin squad. "We just turned it up a notch," Steppe said. "At halftime, we had a big talk. We said 'this is what we want and what we worked for all year, so we're going to go out here and give it our all.'" 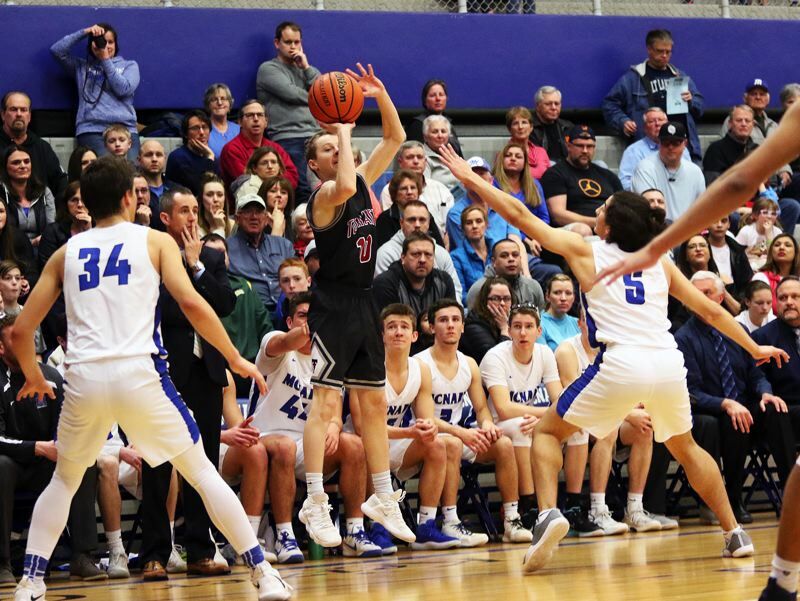 The Celtics would up their lead to 29-25 when senior Lucas Garvey sank a 3-pointer with 6:56 left in the third quarter. But the rest of the period would belong to Tualatin — in a very big way. The Wolves ended the period by scoring 16 unanswered points. Steppe sank four baskets, one coming off an assist by junior Caden Dickson, during the scoring spree. Angeles added six points and Miller scored on a baseline drive. 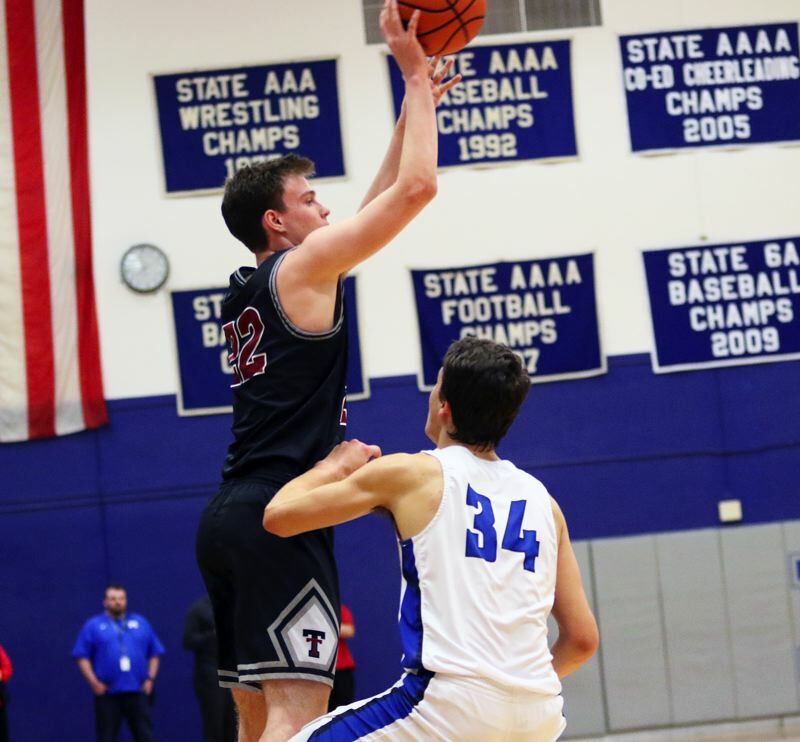 Senior Nathan Platter pulled down three rebounds, as he and Steppe helped Tualatin control the boards during the scoring run, which gave the Wolves a 41-29 lead going into the fourth quarter. 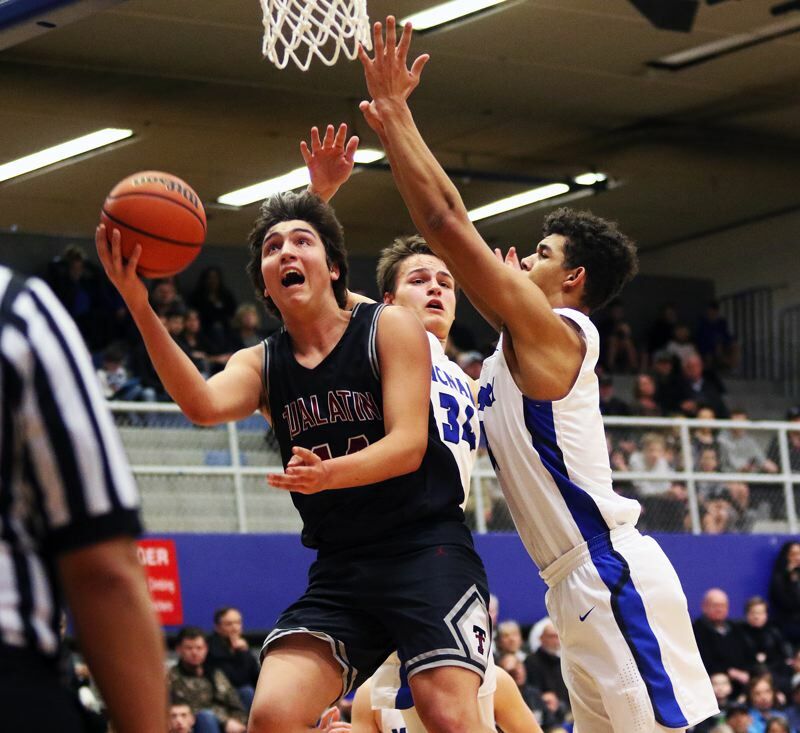 McNary, trying to battle back in the final stanza, cut the margin to 47-38 when Garvey scored on a steal and layup with 4:30 left in the contest. 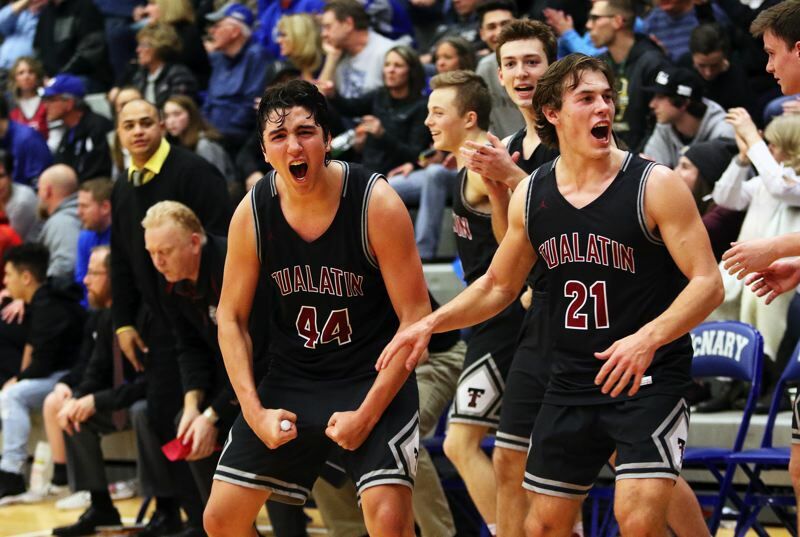 But Tualatin responded — again in a big way. The Wolves put the game away with their defense and foul shooting. Steppe went 8 for 8 from the free throw line in the final 3:29 of the game. 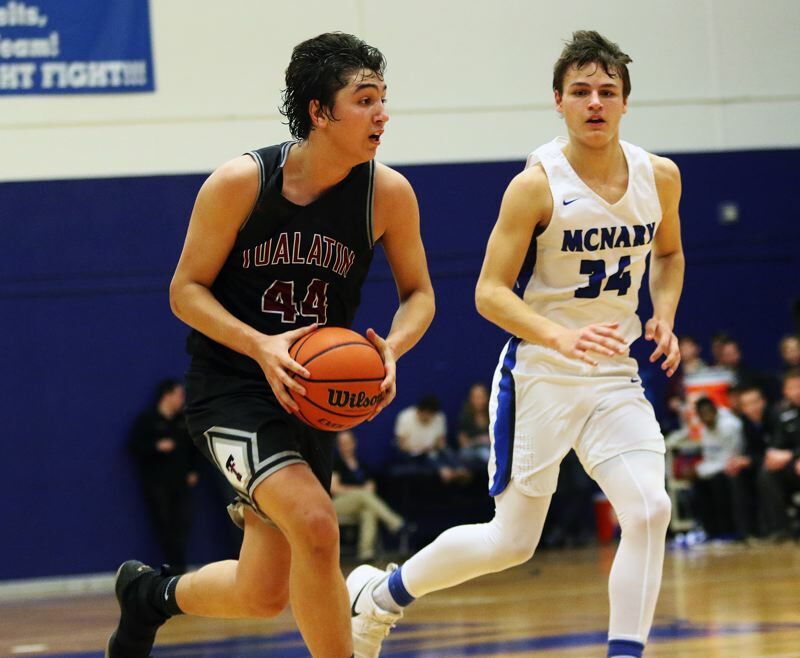 Angeles added four free throws and Miller scored on a layup off a pass from Noland, helping Tualatin pull away for the tournament berth-clinching 61-41 victory. "It was defense," Angeles said of the Wolves' second-half run. "Our defense is what we rely on. We got stops and we got out and running." "I knew we were the better team, and we should have been up at halftime," Miller said. "We knew we had to push through. We knew they were shooters, so we couldn't leave anyone open." 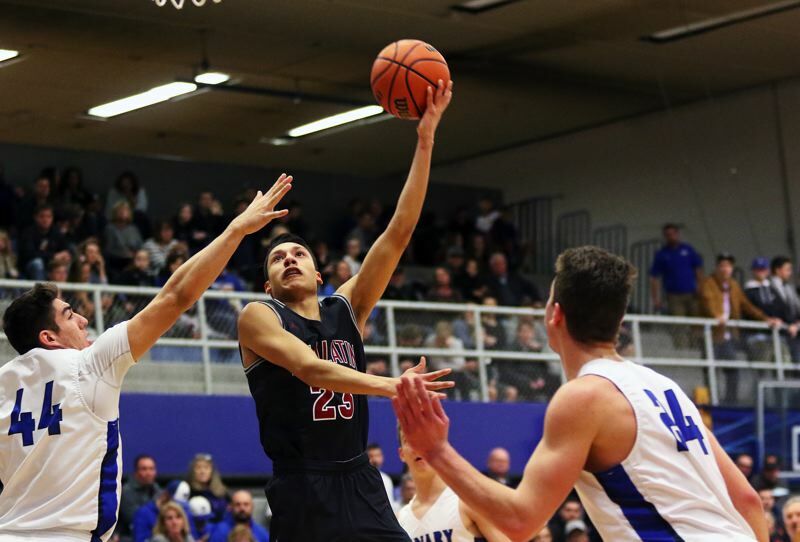 "The kids did a great job," Tualatin coach Rick Osborn said. "They're really good, but, in the second half, they had a hard time against our zone. And the difference was Bridger. He got them to come out of their zone, and we were able to run our offense." Steppe scored 16 of his game-high 20 points in the second half. "Bridger Steppe was the man," Angeles said with a smile. "He's clutch. He makes clutch free throws, and tonight he stepped it up. Any given night any one of us can step it up." "Bridger did amazing," Miller said. "He's always been a guy for us that steps up in clutch time. He's a great player, and we're going to keep him going." "I just really wanted to get to the Chiles Center," Steppe said. "It's always been a big dream of mine, and I'm just glad I got to do it on this night, and help my team win." Angeles added 17 points for the Wolves, including 11 in the second half. Miller scored 15 points, while also pulling down six rebounds. Noland scored three points, while junior Jason Wisler, Platter and senior Chris Freese each scored two. Freese also had a pair of steals. 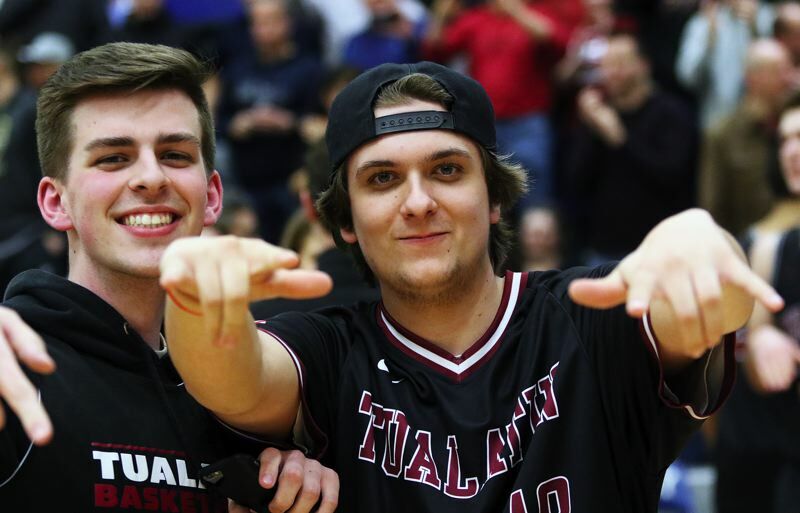 For the game, Tualatin made 20 of 48 shots from the field, with three 3-pointers, and 18 of 21 free-throw attempts. The Wolves also had just 10 turnovers for the contest. Garvey led the Celtics with 14 points. McNary, as a team, made 12 of 38 shots from the field, with seven 3-pointers, and 10 of 18 free-throw attempts. Barlow, which shared the Mt. Hood Conference title this season, and is the No. 20 team in the power rankings, brings an overall record of 18-8 into Thursday's state tournament quarterfinal game. The Bruins earned their tourney berth by scoring an 84-62 win at fourth-seeded Sprague on Saturday.